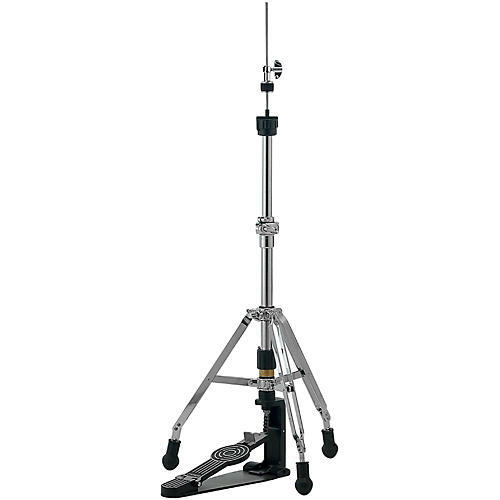 This is the SONOR HH-674 MC 600 Series Hi-Hat Stand. It reflects the pinnacle of SONOR’s award-winning hardware design and manufacture. The professional’s preference and the advancing drummer’s dream, this series offers stage stability, ultimate maneuverability, unbeatable roadworthiness and an elegant, refined style. Double-braced legs, rubber feet with a fierce grip on the floor, and an articulating third leg design that helps accommodate any stage setup. The top hat holder has a sure grip that is subtly adjustable to satisfy your tensile preferences, and the bottom hat is equipped with a seven-stage, easy-to-use cymbal tilter. All moving parts travel with the ease and smoothness professional musicians have come to expect from SONOR.